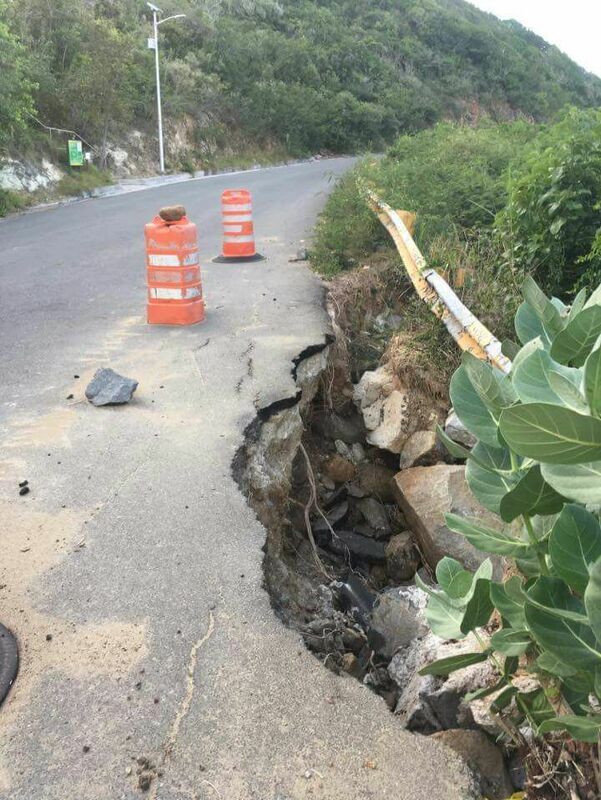 You are here: Virgin Islands News Online » News » Neglect & danger on Virgin Gorda Roads? The road is located in North Sound on the sister island of Virgin Gorda, across from Gorda Peak. It is clear that the road is eroded and could be a safety hazard. Our Correspondence on Virgin Gorda just checked the area before publication time and the situation is the same. In fact calls were made to the reporter about other situations where roads have been washed away by heavy rain falls on Virgin Gorda within the past few months, including the road to North Sound past Nail Bay, but no attention has been paid to repairing them. There is a number to call for pot hole, man hole. Premier hole in VG deep. WHERE IS THE DISTRICT REP? These roads have been like this from December. The hon Mark Vanterpool has been bragging about increased cruise passenger numbers and your roads are I disrepair? Get with it action man!!!! With a fake PS one should expect such. Where is Mr.Magoo our so called District Rep.
well don't come Tola because the roads here bad..
Where the millions gone they barrow from social security? These road cones are becoming permanent fixtures on our roads in VG....Road side drains dug out by the heavy rains waist deep and PWD workers are no where to be seen. There is a huge rock on the main road to Leverick Bay which is a popular tourist area and no one is checking on these things. The VGYH is the Governments only interest in Virgin Gorda and we will have the BESTEST ROAD EVER right in front there.